Adobe used the first keynote at the annual Adobe Summit in Las Vegas March 26 to highlight new capabilities of its Sensei artificial intelligence (AI) and machine learning (ML) technology and Adobe Advertising Cloud platform, as well as tout the global availability of its Adobe Experience Platform. In one example of the many new AI capabilities being touted by Adobe this week, the company is “integrating new Sensei services throughout” its Analytics Cloud platform, Adobe CTO Abhay Parasnis told attendees. For one thing, it can be used to “understand marketing and advertising performance,” he said. The next generation of Sensei, meanwhile, is “deeply embedded” into Adobe Experience Cloud solutions, “driving deeper insights, real-time decisioning and smarter workflows,” the company said in a news release just ahead of the keynote. Adobe Experience Platform is “the industry’s first real-time platform for customer experience management” (CXM), according to the company. The open and extensible platform “stitches together data from across the enterprise, enabling real-time customer profiles leveraging” Sensei AI and ML, it said. Experience Platform “activates content based on customer profiles to deliver personalized experiences in real time” and companies already using the platform in beta form include Best Buy, Media & Entertainment Services Alliance (MESA) member DXC Technology, Home Depot, Sony Interactive Entertainment and Verizon Wireless, Adobe said. Each enterprise is “struggling to handle the massive explosion of data that is being driven by rich customer experiences, multiple devices” and the expanding Internet of Things (IoT), according to Adobe. Experience Platform “collects and processes real-time data — tens of millions of events per second — from multiple sources and organizes the data into” Experience Data Models (XDM), it said. 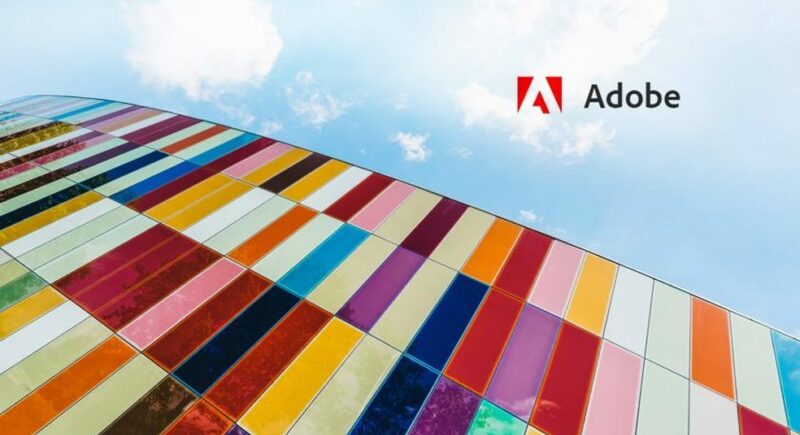 Organizations are then “able to leverage Adobe Experience Platform to activate insights across all Adobe Experience Cloud solutions,” it said. “Solving today’s data challenges requires a cloud-based, hyper-scale architecture with a rich data pipeline and real-time customer profile powered by AI and machine learning,” Parasnis said in the company’s announcement. Experience Platform was “purpose-built for capturing, processing and actioning data in real time, enabling enterprises to deliver rich and relevant experiences to their customers,” he said. Among other things, Adobe Experience Platform offers real-time personalization at scale, intelligent decisioning to enable real-time actionability and Sensei AI services, the company said. Customers can apply Sensei AI and ML to “transform” data into “valuable audiences” and leverage data-driven operational best practices, AI and business intelligence to enable real-time decisions and actions, Adobe said. New AI services available in beta “provide the intelligence layer to connect data and content — ensuring brands consistently deliver the right message on the right channel at the right time,” it said. Sensei services available now include: Customer AI that enables brands to “accurately uncover specific segments of users and target each with the right marketing campaign”; Journey AI, which gives brands a way to “orchestrate journeys across millions of users, constantly analyze behavioral data and activate brand experiences at the optimal times”; and Attribution AI that “enables brands to see the conversion impact driven by owned, earned and paid media and make informed resourcing decisions,” the company said. Adobe Analytics Cloud, the “core system of intelligence and activation for CXM, is adding more capabilities to provide accurate and timely insight into cross-channel consumer behavior, along with intuitive, automated audience segmentation,” the company said. Adobe Marketing Cloud, meanwhile, added B2B marketing automation solution Marketo Engage into the Marketing Cloud, the company said. “First integrations will enable marketers to seamlessly pull or edit content from Adobe Experience Manager or Adobe Creative Cloud and automatically build target lists to understand the next-best-action to take in B2B sales,” it said. Adobe also introduced Adobe Commerce Cloud, built on Magento Commerce and leveraging an ecosystem of more than 300,000 developers, and said it provides an “end-to-end solution to optimize both customer experience and business operations by powering integrated and fully managed commerce across all storefronts — physical, digital and virtual.” Native integrations with Adobe Experience Cloud, including Adobe Analytics and Adobe Experience Manager, and added intelligence powered by Sensei provide “rich insights in commerce dashboards and deliver engaging commerce experiences in real time,” the company said. A new partnership with Roku will also provide Adobe customers the ability to precisely target the large consumer audience moving to over-the-top (OTT) streaming services, Adobe announced. Marketers using Adobe Advertising Cloud, Adobe Audience Manager and Adobe Analytics can now target their first-party audience segments on the Roku platform, Adobe said. “With a seamless activation for programmatic ad buying and access to Roku ad inventory, marketers can better scale their campaigns, manage frequency and more effectively measure success on OTT,” it said.